Before you agree to that backpacking expedition, do your feet a favor and check out our inventory of Hiking Boots at US Outdoor. Curated by seasoned professionals in the industry, you’ll find innovative boots designed to march boldly through even the most off-putting of natural disturbances. Essentially All-Terrain Vehicles for your feet, our boots will help you ford streams and trailblaze just like a couple of oxen from the Oregon Trail. 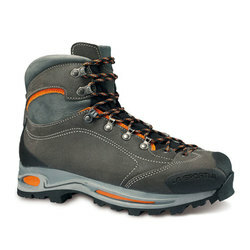 Available in only the most battle-tested brands such as Lowa, Zamberlan, La Sportiva and The North Face, our selection of Hiking Boots is both all-encompassing and unique.